Google has delayed its Nexus Q launch that was supposed to be launched in July, to make up for the lost time ,Google are now sending the Nexus Q free to those who pre-ordered it. Still Google is not clear on the thoughts when they will release Nexus 7 in the market. 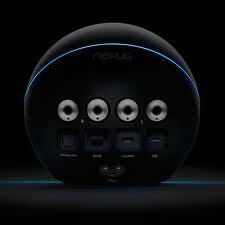 Nexus Q is an entertainment device, it shaped like a black ball. Nexus Q will stream your content from your pool of YouTube videos or your music and movies to your Television and remember there are no downloads, no running from space is involved, it’s like a small home cinema. According to Google it is first social streaming device and the cost of it as reported is 299$ is the United States of America.